DPMO is used to compare measures results. It is particularly useful when measure spec limits are between 3 and 6 standard deviations from the mean. For these measures, the actual percent out results tend to always be zero, so an improvement or a worsening of the results cannot be detected. In 3DCS, DPMO is calculated from the spec limits, mean, and standard deviation of the measure and assumes the measure is normally distributed. 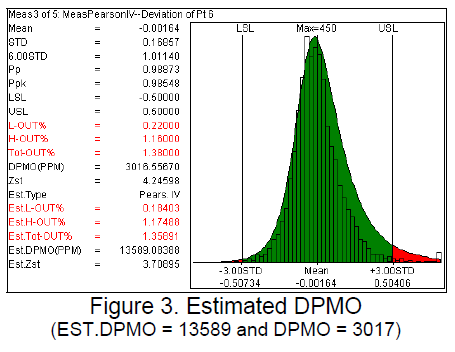 DPMO is equivalent to the percent of the area under the normal curve beyond each spec limit. The results can be verified by using a Z-Score table. Est. DPMO uses the equation for the estimated curve type instead of assuming the measure is normally distributed. A Z-Score is the number of standard deviations a particular value is from the mean. In 3DCS, it is calculated from the DPMO result. For any particular DPMO value there is a unique Z-Score. The results can be verified by using a Z-Score table. Typically, 3DCS results represent long term variation. When Z-Scores are used, however, typically short-term results are desired. Therefore, a Z-shift (Z0) value is defined in the Preferences to convert a long-term result to a short-term result. A typical value for Z-shift is 1.5. This indicates that over the long term, the mean is expected to shift about 1.5 standard deviations. Z-shift is added to the calculated (long-term) Z-Score to get the displayed (short-term) Z-Score value. 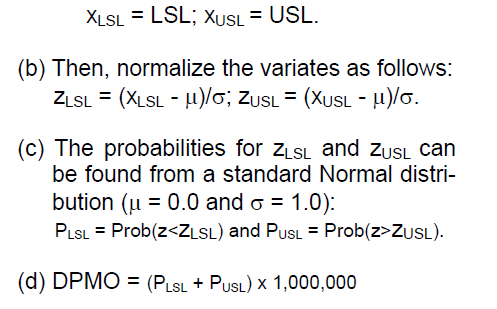 The estimated Z-Score is calculated with the same method and using the estimated DPMO result. Defects Per Million Opportunities (DPMO) is a very important criterion used in Six- Sigma programs. Typically, the objective in a Six-Sigma program is to control the production/ service process within a 3.4 DPMO [Dimensional Engineering News, September 2003]. 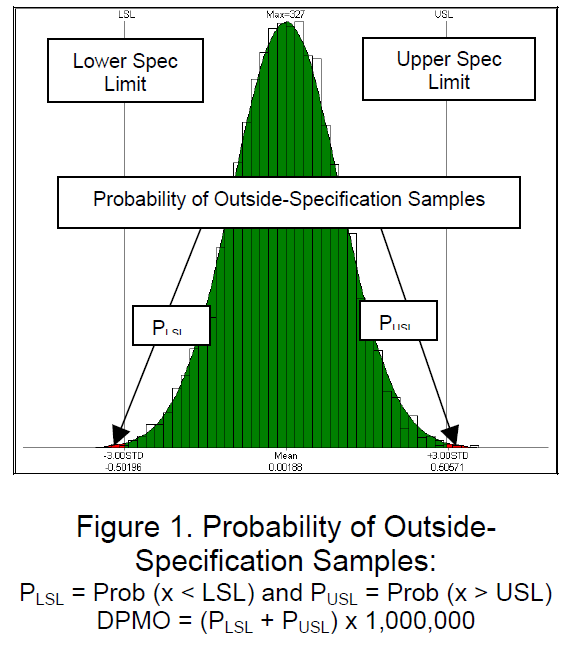 Based on Probability Theory, DPMO is directly related with the probability of outside- specification samples. It is important to notice that a Normal (Gaussian) distribution is assumed when calculating DPMO in a Six-Sigma program (see Figure 1). 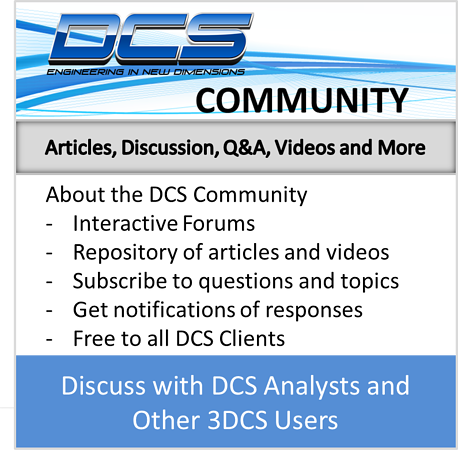 3DCS® is a statistical tool providing a wide range of statistics. DPMO is one of these statistics (see Figure 2). The DPMO calculation in 3DCS® is detailed as follows. In practicality, with limited samples of 2000, the equation above is just an approximation. Since the assumption of a Normal distribution is used in calculating DPMO, the question of usefulness arises when the samples are not normally distributed. From 3DCS®, an estimated DPMO (EST.DPMO) can be used for this case. EST.DPMO is calculated from the estimated distribution type, instead of an assumed Normal distribution. See Figure 3. In a Six-Sigma program, Zst is used as a checking measurement for a process capability. To directly calculate a Zst from Out-Of-Spec, see [Dimensional Engineering News, August 2004]. The following is the Zst calculation used in 3DCS®. The calculation is based on the assumption of a Normal distribution. 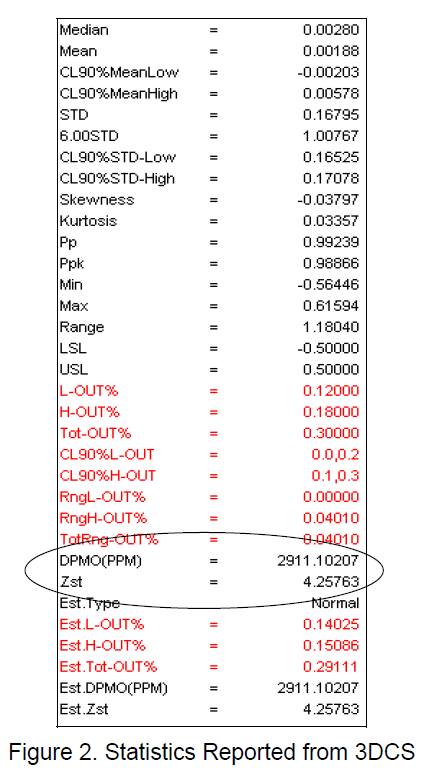 You can use Z bench values instead of the Cp and Pp capability indices to describe the sigma capability of a process with measurement data. You can use Z.bench values to describe the sigma capability of your process. Because they are based on a standard normal distribution, Z.bench statistics are benchmark values that allow you to easily compare process capability. To understand Z.bench, consider all the defects of a process, which usually fall on either side of the specification limits. If you put all the defects on the right tail of the distribution, and then measure the number of standard deviations from the center to the point that defines the total defects, you obtain the Z.bench value. 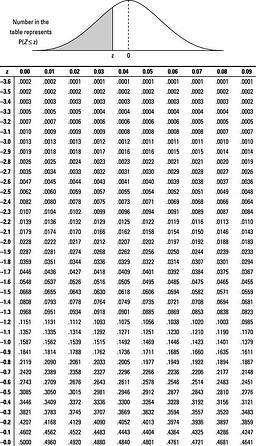 What are the different Z.bench values? 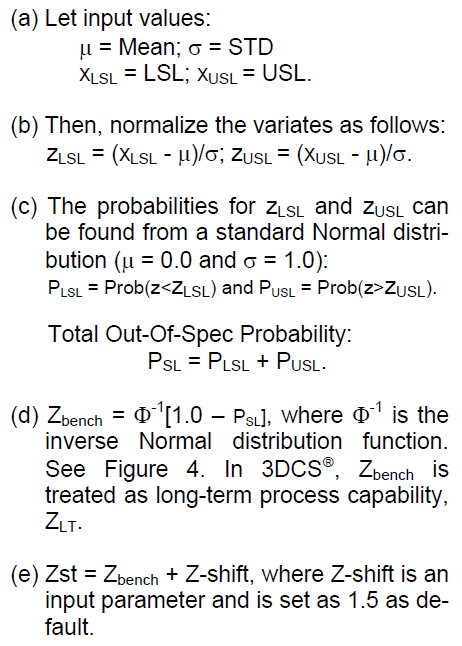 Z.bench statistics can indicate the short-term (potential) or the long-term (actual) capability of your process, depending on whether they are calculated using the within or overall standard deviation. 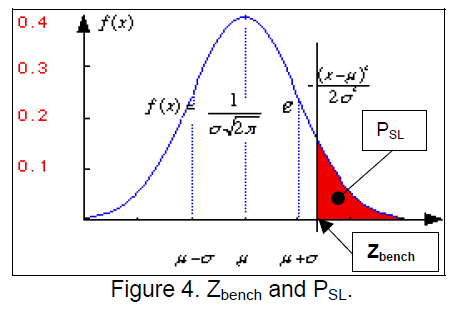 Short-term Z.bench is calculated using the within-standard deviation of the process. It is a measure of how your current process would perform if you could keep the short-term variation constant, which is ideal, or the process entitlement. Long-term Z.bench is calculated using the overall standard deviation of the process. It is a better measure of reality because we can't usually hold the short-term variation over time. It represents the quality the customer actually receives. Is the difference between Z.benchST and Z.benchLT. The larger the Z shift, the more opportunity you have for improvement if you are able to better control your process and eliminate or reduce the special causes that create the between-subgroup variation. Usually, practitioners assume a 1.5 σ shift (ZST = ZLT + 1.5 ).